The leader of Israel’s Joint Arab List party has accused the Israeli government of murdering Palestinian leader Yasser Arafat in 2004, Haaretz reports.Ayman Odeh, in a recent interview, accused the Shin Bet domestic intelligence service (the Israeli equivalent of the FBI) of being behind the death of the Palestine Liberation Organization founder’s death at age 75. According to World Bulletin/Al Ray, Odeh made the allegation during an interview on Israel’s Channel 2, saying that, when Avi Dichter — now a Likud Knesset member — was head of the Shin Bet, he “sent the people” who murdered Arafat. The autopsy report published after Arafat’s death listed the immediate cause as a massive brain hemorrhage resulting from an infection. 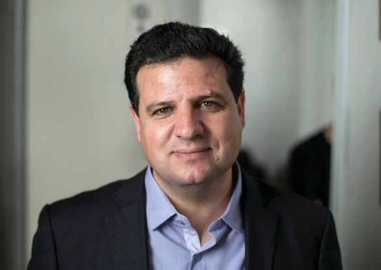 Odeh was being interviewed following a Knesset committee session about proposed legislation which would allow Knesset members to expel colleagues for “inappropriate” behavior. Prime Minister Benjamin Netanyahu proposed the legislation after three Arab members of the Knesset outraged many Israelis by visiting with the families of Palestinians who were killed by Israeli soldiers. Yassin and Rantisi were two leaders of Hamas who Israel killed in separate raids in Gaza in 2004.